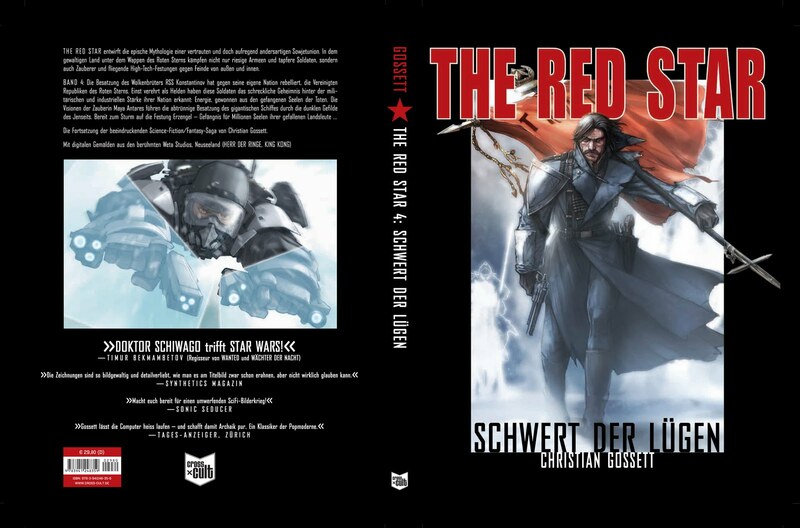 Sword of Lies – Christian Gossett’s THE RED STAR™ on sale here. HAPPY HOLIDAYS from Team Red Star!! HAPPY HOLIDAYS from Team Red Star! Keep an eye out in 2014 for great news from The Red Star!!! Comic-Con is just around the corner and we are celebrating with special offers at The Red Store!! See details below. CHRISTIAN GOSSETT will be appearing at Comicon 2011. Both packages available now through August 1, 2011 at www.theredstar.com. As always, each book comes signed by creator and artist, Christian Gossett. 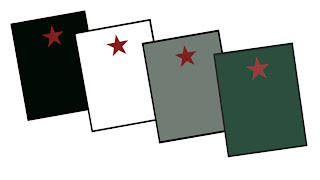 Here’s your chance to purchase ALL of the Red Star hardcovers. There are only 50 available so buy early. You may remember the grey hardcover of Prison of Souls trade paperback was dramatically under produced the first time around. Now it is available again! Each of the hard covers is also available for individual purchase and will be signed by Christian Gossett. We hope that you have a great summer! The Red Star Sword of Lies to be published in Germany! We are very happy to announce that The Red Star Sword of Lies will be published in Germany. Look for it this fall! Also, there are now more issues of The Red Star available on the iPhone through Iverse Comic App and they will soon be released on the PSP and Droid as well. They are quite stunning backlit. Please let us know if you can’t find them. Christian will be traveling to New Zealand soon to work on his upcoming short. Look back here for concept design art soon. Have a great rest of the summer. The Red Star Holiday Collection Specials !!! HAPPY HOLIDAYS to our Red Star readers! 2. HOLIDAY HARD COVER PACKAGE DEAL: all four hardcover trade paperbacks ($200) – NOT AVAILABLE IN STORES. Both packages available now through January 4, 2010 atwww.theredstar.com . As always, each book comessigned by creator and artist, Christian Gossett. Here’s your chance to purchase ALL of the Red Star hardcovers,NEVER BEFORE AVAILABLE! There are only 100 available so buy early. You may remember the grey hardcover of Prison of Souls trade paperback was dramatically under produced the first time around. Now it is available again for the first time infive years! Each of the hard covers is also available for individual purchase and will besigned by Christian Gossett. We hope that you and yours have a great holiday season. Signed Copies of The Red Star Game are now on sale in The Red Store. The Red Star: Sword of Lies wins the IPPY GOLD MEDAL!!! The Red Star: Sword of Lies has won the gold medal at the 13th annual Independent Publisher Book Awards!!! May 21, 2009 – New York, NY – Organizers of the 13th annual Independent Publisher Book Awards, conducted to honor the year’s best independently published books, have announced the results for the 2009 competition. While much of the world economy is in a slump, books and reading are gaining ground on more expensive forms of entertainment, and the annual list of “IPPY” award winners represents the kind of alternative viewpoints today’s readers crave. This year’s awards attracted 4,090 entries from throughout the U.S. and Canada, plus most English-speaking countries worldwide. Medal-winning books came from 44 U.S. states plus the District of Columbia, eight Canadian provinces, and six countries overseas. Launched in 1996 as the first unaffiliated awards program open exclusively to independent, university, and self-published titles, the 2009 IPPY Awards will be presented to winners at a gala celebration during BookExpo America in New York on Friday, May 29th. The IPPY Awards are presented by IndependentPublisher.com, the online “voice of independent publishing” operated by publishing services firm Jenkins Group of Traverse City, Michigan. The annual IPPY Awards celebration on Friday night during BookExpo America is a highlight of the weekend and publishing media are welcome to attend. 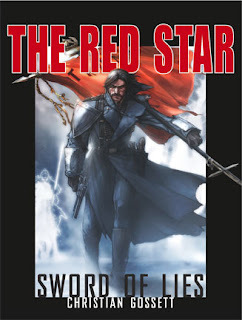 Signed Copies of The Red Star: Sword of Lies are now on sale in The Red Store.